WHITEMAN AFB, Mo., April 28, 2009 Northrop Grumman Corporation has delivered to the U.S. Air Force the first operational B-2 Spirit stealth bomber to be equipped with a newly modernized radar. The aircraft was officially handed off to the Air Force on March 17 at Whiteman Air Force Base, the operational home of the B-2 fleet and the 509th Bomb Wing. Northrop Grumman is the Air Force's prime contractor for the B-2, the flagship of the nation's long range strike arsenal, and one of the world's most survivable aircraft. In July, Northrop Grumman and the Air Force will celebrate the 20th anniversary of the first flight of the B-2. "This delivery demonstrates Northrop Grumman's commitment to help the Air Force equip the B-2 fleet with the most modern radar technology," said Dave Mazur, vice president of long range strike for Northrop Grumman's Aerospace Systems sector. "The new radar enables the jet to perform some of the nation's most significant missions, while giving it a technological foundation for enhanced capabilities in the future." The updated aircraft is the first of several operational B-2s that will be equipped with the new radar as part of the system development and demonstration (SDD) phase of the Air Force's B-2 radar modernization program (RMP). The Air Force plans to use the updated aircraft to conduct additional field testing of the radar. Data gathered from these decisions will support future fielding decisions. In December, Northrop Grumman was awarded a $468 million contract to begin the production phase of the RMP. The contract, which includes low rate and full rate production phases, will support installation of the radar on the balance of the B-2s not involved in the SDD program. 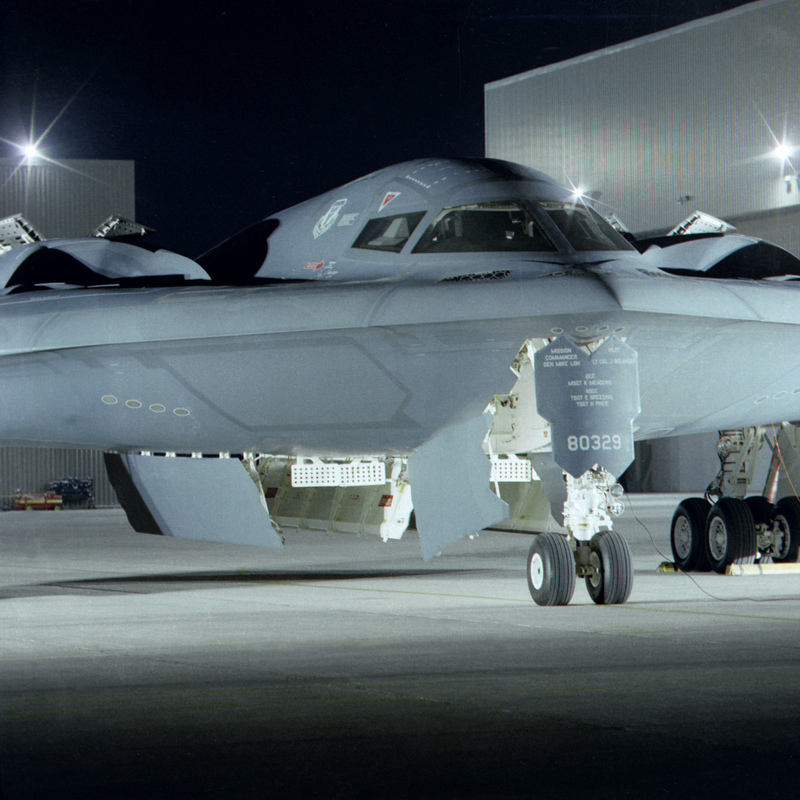 The B-2 radar modernization program replaces the aircraft's original radar system with one that incorporates technology improvements that have occurred since the B-2 was originally designed in the early 1980s. Raytheon Space & Airborne Systems, El Segundo, Calif. developed the new radar hardware under contract to Northrop Grumman. The units include a new advanced electronically scanned array antenna, a power supply and a modified receiver/exciter. The B-2 Spirit stealth bomber is the only aircraft in the U.S. inventory that combines long range, stealth technology, a large payload and precision weapons. It can penetrate deeply into protected airspace and hold at risk our enemies' most heavily defended targets. In concert with the Air Force's air superiority fleet, which provides airspace control, and the Air Force's tanker fleet, which enables global mobility, the B-2 helps ensure an effective U.S. response to threats anywhere in the world. It can fly more than 6,000 nautical miles unrefueled and more than 10,000 nautical miles with just one aerial refueling, giving it the ability to reach any point on the globe within hours.